Highly Prominent Corner Opportunity. In vicinity of Sainsbury’s, Iceland, Boots, Primark etc. 101 Kilburn High Road, London NW6 6JE. Approx. 2,102 sq ft. 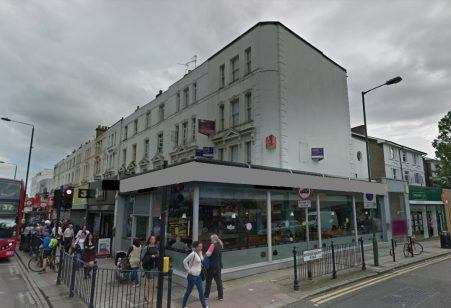 Highly prominent corner pitch, in close proximity to Kilburn High Road Overground station. Occupiers in the immediate vicinity include Sainsbury’s, Iceland, Boots, Primark, Costa Coffee, Greggs, Franco Manca, and Clarks, to name but a few.